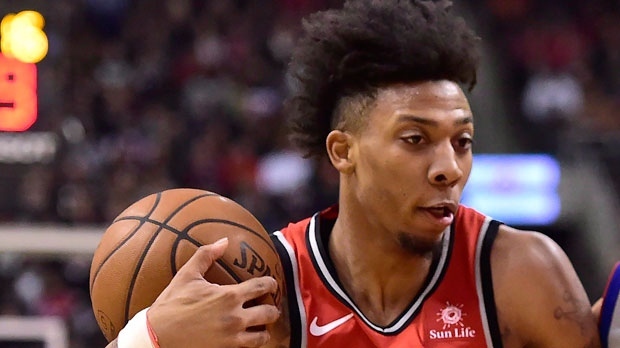 TORONTO - The Toronto Raptors traded guard Malachi Richardson to the Philadelphia 76ers on the eve of the NBA trade deadline Thursday. The Sixers also get the draft rights to forward Emir Preldzic and other draft considerations. In return, the Raptors receive cash considerations. Richardson was acquired from Sacramento at last year's trade deadline, and went on to play in 23 games for Toronto, plus 12 games with Raptors 905, the club's G League affiliate. Preldzic was selected 57th overall by Phoenix in the 2009 NBA Draft, and plays professionally in Turkey for Bahcesehir Koleji. He's also played professionally in Bosnia and Herzegovina and Slovenia.